The word Crystal Ball is associated with mysticism and something that is out of the ordinary. Think of the crystal ball and a gypsy, caressing a crystal ball in her hands comes to mind. Films have also played their part in often associating crystal balls with gypsies and fortune tellers. 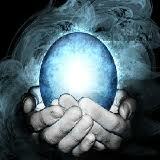 One of the most well known, popular and loved divination tool amongst favourites is the crystal ball. A crystal ball works on the technique known as scrying. Ability to see something associated to the past, present or future into the surface of reflective objects, or in some medium refers to scrying. There are many divination techniques that work on the method of scrying. The crytal ball can be one of the best scrying methods used. 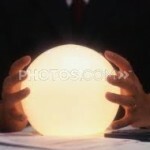 The most common and baffling questions asked by many is how does the crystal ball work? What can be seen in the ball and how are pictures and images seen? Are they like watching a film, are they seen in black and white or are they tiny figures. Every cystal ball gazer will see the same thing in different ways. There are some who might see figures or pictures on the mental screen whilst gazing at the crystal ball. There are some on the other hand who will see patterns within the crystal ball that come together to make up figures and pictures and tell a story or relate some event. Seeing pictures or figures cannot be enough. The ability to connect to the pictures and relate them to the person asking questions is what is important. This is where the bond or the connection between the energies of the crystal ball and the person come into play. Good crystal ball readers are able to see connect well to the ball and can say much beyond what they see. The size of the crystal ball varies from reader to reader. Some readers like to have large crystal balls. They feel they have a larger surface to look into and explore. This also adds to the cosmetic look of the reading and enhances the experience of the reader and makes it more enigmatic for the person come to get a reading. On the other hand there are some who read from average sized crystal balls and are very comfortable reading from it. Crystal balls are often made of white quartz or smoky quartz. There are however, different types of crystal balls available today. Some are also made of black agate or dark or light amethyst. The moment the crystal ball reader picks up or touches the crystal ball, the ball should connect to the reader. An energy exchange of some kind will happen every time there is a reading done by the reader. A crystal ball can describe events, situations, scenarios and talk about what has happened, is happening and will happen in the future. It can talk about people, their behavior and attitude. The crystal ball goes to the inner core of the situation or problem and works on a person and intense level. The most common questions asked have been about marriage prospects, relationships working out, immigration happening, good jobs being obtained and the likes. There are some who will go further and want to know the true motives behind certain things happening and the actual reasons for why things happen. The crystal ball is and will continue to remain one of the most fascinating readings every to be done. It is indeed amazing the ball becomes a means to connect to the higher consciousness to be able to see the past, present and the future. A word of caution needs to be mentioned here that people rely solely on these kind of readings. Their ability to change what they see in the crystal ball lies in us. 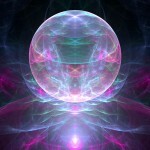 The crystal ball will give solutions as well, provided the person asking the questions is ready to listen to them. An open mind will welcome and work on whatever messages come for them. Everyone has the power to change things in their lives. If we can work on this power, then one can change what they have seen in the ball. Any divination tool serves to be guidance or a path of direction. It is up to use this in the manner most beneficial to us. Manju Mohinani Patil is a well known name today in the field of Holistic work and is a celebrity in her own self. She is a veteran having actively been in this field since 10 years.Manju has been interviewed by various newspapers like the Times of India and DNA to name a few with respect to her skills as a practicing Angel and Tarot Card Reader. She has also been interviewed to talk about spirits and ghosts. Her story has been chosen and adapted for one of the episodes of Mano ya na Mano where an actor essays her role.